This month we have a duo of fabulous events being hosted by the Alliance of Independent Authors. 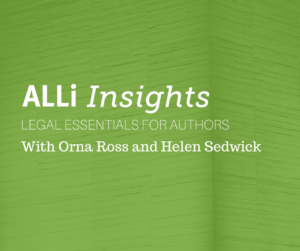 As well as our regular ALLi Insights with Helen Sedwick and Ask ALLi Author Advice Q&A with Joanna Penn and Orna Ross, we’re also hosting a Twitter Chat with Amy Edelman from IndieReader. Whether you’re a seasoned indie author or just compiling your first ebook, the Author How-To advice being covered in this month’s events will be invaluable. Writers should not be losing money and sleep by signing on with the publishing company or getting sued for copyright infringement. With the right information, writers can protect their rights and their wallets. 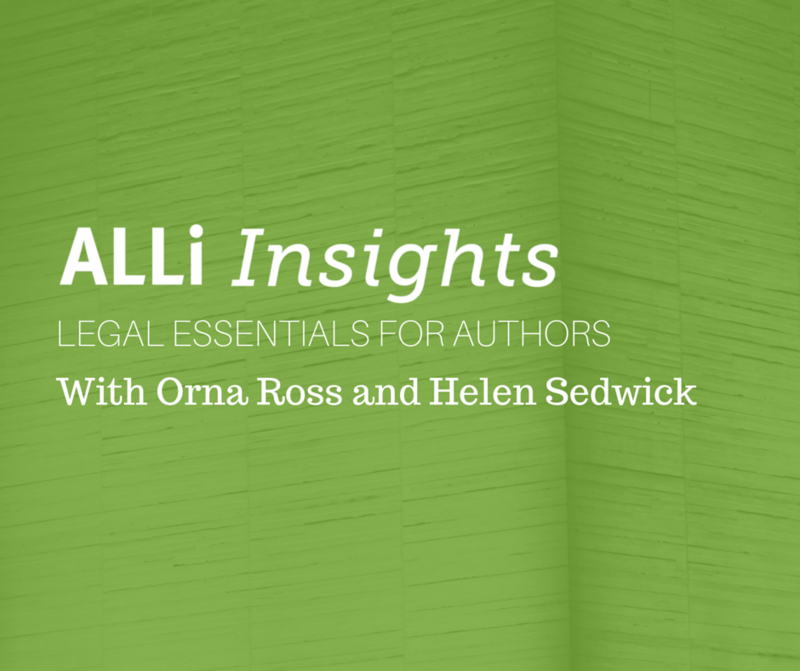 In this month’s How-to for Authors, Orna will with talking to Helen Sedwick to discuss copyright to add clarity around what a writer owns vs. what they don’t. Other topics being discussed are how authors can protect their work. How to keep others from taking more than their fair share by understanding the nuances between licenses vs. assignments, exclusive vs. non-exclusives and termination clauses. We’ll also be covering scams. Writer and lawyer Helen Sedwick has thirty years of experience representing businesses and entrepreneurs. 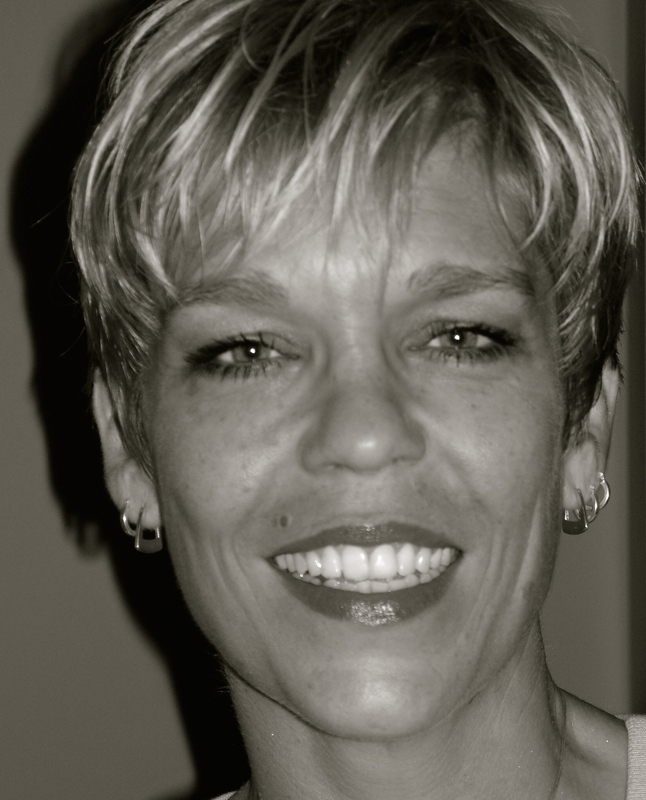 When she self-published the novel COYOTE WINDS, she could find no handbook to help writers deal with the legal issues of self-publishing. So she wrote that book: Self-Publisher’s Legal Handbook. Her goal is to keep writers out of court and at their desks. ForeWord Review gave her Self-Publisher’s Legal Handbook Five Stars, calling it “one of the most valuable resources a self-publisher can own…well-written and authoritative yet unhampered by legalese.” Her blog coaches writers on everything from protecting copyrights to hiring freelancers to spotting scams. 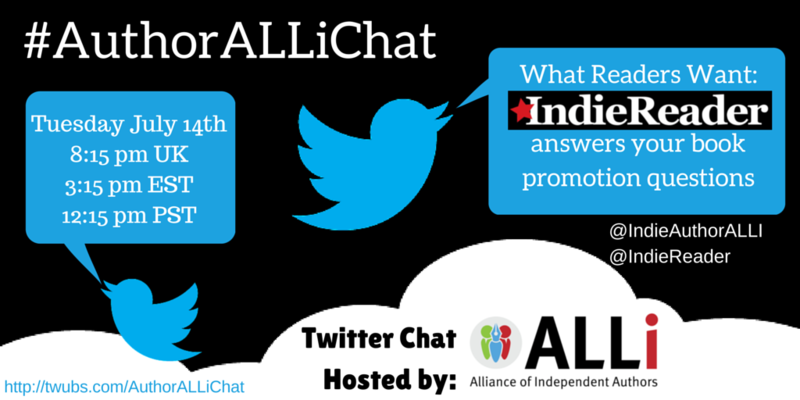 Following our ALLi Insights event, we’re hosting Amy Edelman from Indie Reader in this month’s Twitter Chat to discuss all your book promotion questions. 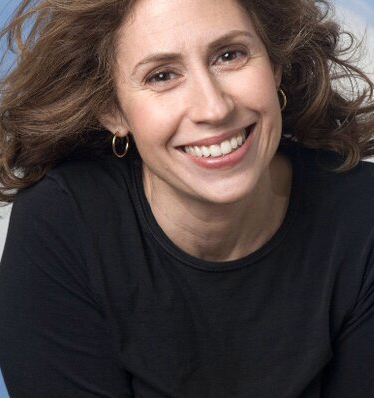 Amy Edelman is a publicist and writer, and the Founder and President of IndieReader. She self-published her first book, “The Fashion Resource Directory”, back in the 80s, long before POD and Amazon and e-readers roamed the land. Her second and third books (“The Little Black Dress” and “Manless in Montclair”), were traditionally published (by Simon & Schuster and Shaye Areheart Books, an imprint of Crown). Having the good fortune to have published books both ways has given Amy a first-hand look at the advantages and drawbacks of each. As both an author and a publicist with over 20 years experience, Amy understands how difficult it is for all authors to get exposure. 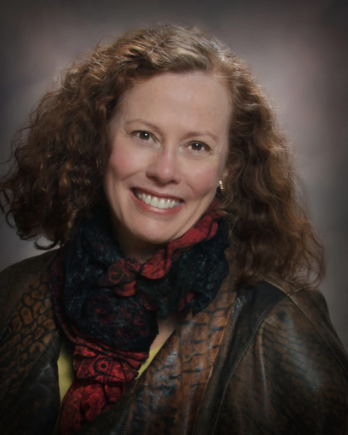 She came up with the idea of IndieReader, “the essential consumer guide to self-published books and the people who write them” for two reasons. The first was to create a more level playing field for authors who choose to go it on their own. The second was to give book-lovers the opportunity to discover great works that they might not have otherwise have found. If you haven’t used Twubs before, it’s a lot more user friendly that trying to follow the conversation directly in Twitter, and it allows you to set the speed of the feed according to your preference and you can also hide any retweets. Interested in Joining ALLi? Besides being able to submit questions to this monthly Q&A, there’s lots of other benefits for being an ALLi Member. Click this banner, to find out more.